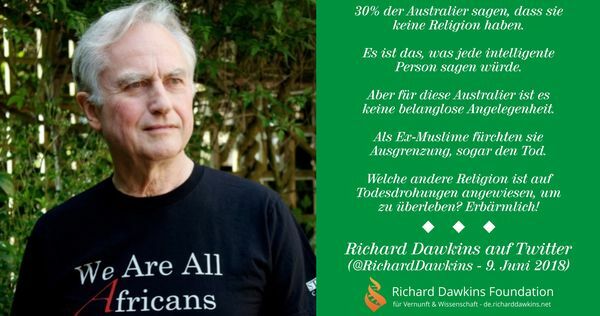 30% of Australians say they have no religion. It’s what any intelligent person would say. But for these Australians it’s no trivial matter. As ex-Muslims they fear ostracism, even death. What other religion relies on death threats to survive? Pathetic! 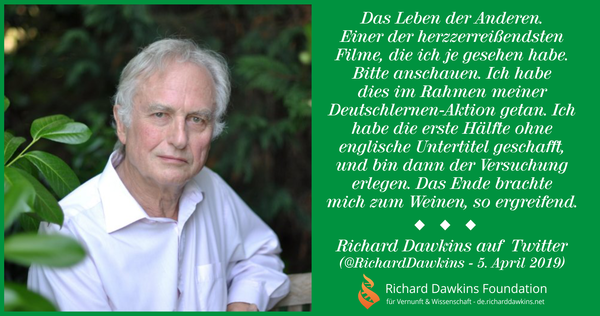 Dieser Tweet von Richard Dawkins bezieht sich auf einen Artikel von der Australian Broadcasting Corporation über Ex-Muslime in Australien, die Bedrohungen ausgesetzt sind.